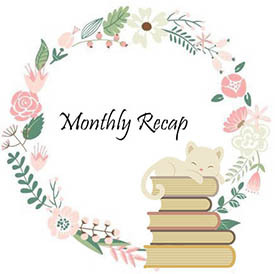 Another late monthly recap. Maybe I shouldn't have written last month that I was back on track (all the reviews I still have to share around here! ), but at least I'm not being overwhelmed with all the uni work for now. Talking about uni, I'm proud to announce that I received my last mark and I can now say that I passed with flying colours. I'm feeling proud of myself - especially after how everything is my life has been turned upside down since I lost my Mufasa; I really need reasons to smile and feel pride. The moment you realize you finished seven books. 🙀 How did this happen?! I know most were for uni but I can't believe I read so much. I can't remember last time I read so many books in a month. Everland and Mechanica were really disappointments. Damn you high expectations! The insta-love between Pete and Gwen in Everland and how the plot only happens in two days just wasn't for me. I was so in love with the idea of a Peter Pan retelling mixed with Steampunk, but this book didn't live up to my expectations. In Mechanica I did love the fact that the main character was very strong and that it depicted positive female friendship, but the last fifty pages of the story were just a huge disappointing mess. When I finished the story, I felt I had been cheated. Illusion of Fate was a very enjoyable reading. I really liked its twists (I was soooo not expecting that) and because of such I wish the book had been longer. Is it bad that I can't be sure of which books arrived at my shelf this month? 🙈 I'm sure I received a few more but those were for uni and as you know I never mention those in my book haul because I had to buy them; I did not acquire them because I wanted to as it happens with other books. Here are the books that I remember acquiring this month. Random & Randomness, as the name indicates, is about random bookish stuff. 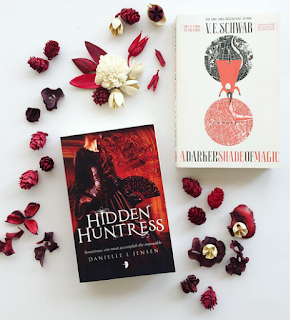 Inspired by a few blogs, I decided to create this little space where I share some bookish love. Ps. : Because my mind has been a mess, I'm not sure if all these news were releases in January. More Beauty and the Beast news - I'm just leaving the link to the film's twitter page because there has been so many stuff coming out that it's impossible for me to mention it all in this post. Am I the only person whose song always brings goosebumps? Leigh Bardugo's "The Language of Thorns" - I'm trying to keep up with all the book announcements, but it's really difficult when my schedule is so busy. I couldn't believe I missed this January announcement! Who is ready for some more Grisha world? 🙋 Out in September 26th.